The actor was born on August 21st, 1976 in Delta state as Kelvin Ngozi Ikedubah. He is the first child in a family of four (two boys and two girls) and spent virtually all his growing up years in Ebute-Metta (west). 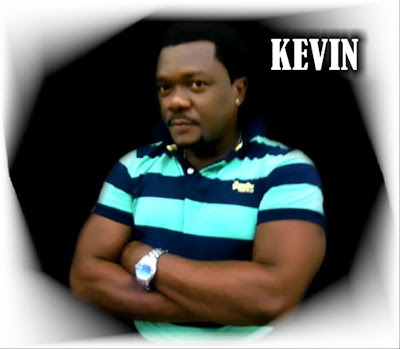 Nigerian Actor Kelvin Ikeduba can be considered one of Nollywood’s most dynamic talents not only because of his ability to interpret roles like a master, but also because he is one of the few stars in the industry that makes films in both English and Yoruba. The ace actor just turned 37 on the 21st of August, 2013. Kelvin has lived all his life in Lagos, he hails from Delta state and is an Economist graduate from Ahmadu Bello University Zaria. Kelvin grew up in Ebute-Metta (west), Olokodana street and according to everyone, Ngozi as he’s better known as in the neighbourhood has always been a very creative and imaginative story teller, word has it that gist was better heard from Ngozi than anyone else as his interpretation was always punctuated with lots of dramatization and therefore always more interesting. It therefore did not come as a surprise to most who knew him as it was obvious he always had it in him. Kelvin started his acting career in 2000 and has remained a force to be reckoned both in the Yoruba and English circuits having featured with having featured in quite a number of movies to date and in true Ebute-Metta fashion still has his eyes on the big one. He believes Nollywood is a stepping-stone to his ultimate dream, which is Hollywood. Am real happy for ur life be alive,am so much like ur formings nd action which I always copy nd I wish u happy birthday and long life good health nd peace of mind in jesus name amen.no weapon fashioned against u again shall prosper nd may ur walker never be stumble jah jireh cover u with is blood amen. millibi that is what we call him, he is a nice guy. he is the artor i respect so much. I love his acting, he’s so talented, may God continue to uplift you.